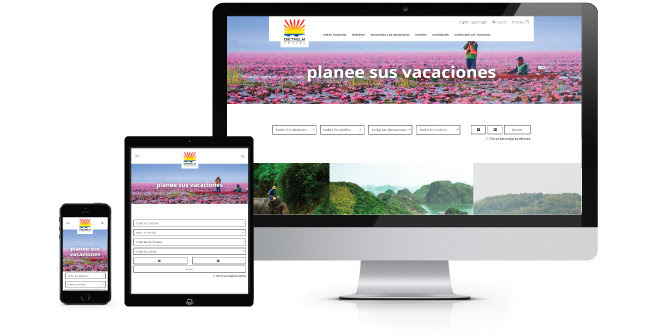 We’re pleased to announce that today Diethelm Travel launched a Spanish-language version of our website. The content is available on the existing website, www.diethelmtravel.com, with the new option to switch the language from English to Spanish. Specially designed to support clients and travellers from Spanish-speaking markets, the website features all the functionality of the existing English content, including easy online booking capabilities. Travellers from Latin America in particular tend to travel for longer periods of time on multi-country tours customised to meet their travel needs regarding time, budget and special interests. Our services across the Asian continent combined with our leading tailor-made programmes and personal concierge services are a perfect fit for these travellers who want to make the most of their time travelling through the region with meaningful experiences. Additionally, we’ve hired extra Spanish-speaking staff for Diethelm Travel’s head sales and operations teams based in Bangkok. Ms. Patcharin Butchum is a new Sales Executive who will be the point of contact for Spanish-speaking agents. Nicknamed ‘Bo’, she has more than three years of experience working for a DMC in a Spanish market and graduated university with a Spanish major with first class honours. She can now be reached at Patcharin.b@diethelmtravel.com. Ms. Shara Fernandez has joined the team as Reservation Supervisor Spanish Speaking Market. Born in the Caribbean, she has more than 15 years working in the tourism industry for a range of 5-star hotels, airlines, tour operators and destination management companies known worldwide. Shara has lived and worked in the Dominican Republic, the Cayman Islands, Mallorca, Ireland and has been based Bangkok for the past two years. She can now be reached at Shara.f@th.diethelmtravel.com. Operating in 13 different countries and working closely with clients from countless more, we understand the importance of communicating with people in their native language to establish a true sense of trust and mutual understanding. While the Spanish version of the website is the first non-English iteration of our online presence, we plan to launch more languages in future. To access the site, visit www.diethelmtravel.com/es. For more information about how Diethelm Travel Group can support Spanish-speaking agents and travellers, please email sales@diethelmtravel.com.